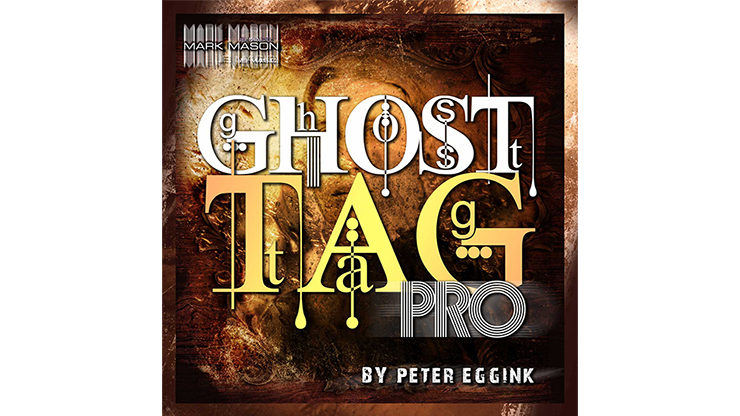 Today, when you order "Ghost Tag Pro (Gimmick and Online Instructions) by Peter Eggink", you'll instantly be emailed a Penguin Magic gift certificate. You can spend it on anything you like at Penguin, just like cash. Just complete your order as normal, and within seconds you'll get an email with your gift certificate. 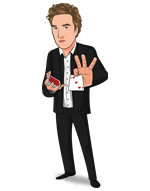 A regular deck is shuffled, and the spectator selects a card. The card is turned face-up, let's say it's the 3 of Clubs. This is INSIDE the key ring. It is a brand-new method for making the picture change inside the key ring. You will love the method. IT'S INGENIUS!! "Hi Mark, I've just received Ghost Tag. Wow, it's fantastic! I can see it becoming one of my favorites. Unbelievably easy to perform and reset. My wife usually gets them immediately. This one has her puzzled. Thank you." "Yep went straight into my set! Thank you for having such great effects!" I'll downgrade this one star because at first this seems a bit "hit and miss" as another reviewer wrote. However the video instructions by Mark Mason are so super that the way to increase the dependablity is clear. Also he discusses the original Ghost Tag which did not use a gaffed key, but a palmed source of power. Utilizing the latter (e.g., ) which you may have around, or should, helps to grease the skids so to speak, and then you can return to the key alone. I'm nur a semi-pro but I have no hesitation carrying this with me. Disclosure: bought on sale off site. Watching the trailer for this effect, I was quite impressed. When I received the effect and logged on to the instructions, I was still impressed. The instructions are very clear and well presented. The props are really nice and look good. However, no matter how I worked with the main prop, it was hit and miss at best. Either I received a defective gimmick or the gimmick is too undependable to trust in a professional presentation. Note: I bought this item on sale at another magic supplier's website. I wish I had paid full price at Penguin. At least Penguin backs up their products.